I've been wanting to get a perm for a while now. Although my hair is naturally wavy, it isn't enough to look well... nice? Lol. And I'd rather not have to waste time tong-ing my hair if I want bigger curls. So I headed down to Bugis Essensuals with Yutaki last week (but I realise I only have photos of myself hahaha), planning to do both a perm & colour touch-up! The stylist warned me that dyeing my hair right after perming it would make it lose some of the curls but that didn't bother me because I just want wavy. But anyway. In the end I got too bored of sitting there so I gave up after doing the perm haha. And besides it's bad for my hair to do both at the same time. Unwashed hair & no makeup. 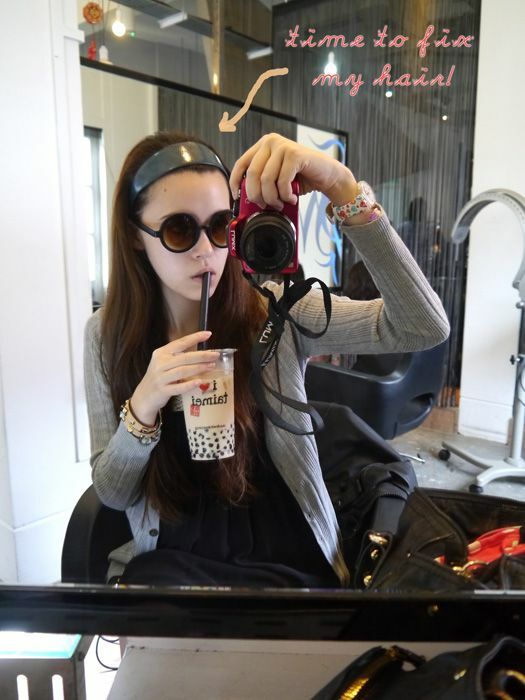 Sunglasses are from KL! Yutakis bought lots of Taimei food for us! But at first I freaked out because I only saw fried veggies (yuck); thank goodness he bought the yummy chicken too. Anyway so I pretty much left it up to him & he gave me mermaid waves! Cut bangs too! But it lasted like... a day. Haha as in obviously my bangs are still there, but I changed it to my usual side-swept. My hair didn't take that well to the perm though I think. It naturally became frizzier so now I've to start using hair masks & stuff more. Oh & I was told not to wash my hair for 2 days! *fist pump* #legitreason to avoid washing my hair. Yutaki loved my hair... Miyake & Qiuting liked it too but I'm just #mehgirl. Yutaki likes to act out how I usually react to things. Yutaki: "Pretend I'm Sophie. Tell me my hair is chio"
Eric: "OMG YOUR HAIR DAMN NICE CAN!" Eric: "You hungry? I damn hungry"
Yutaki: "Ok lor. Ate a bit in school." Yutaki says my blog readers are all like me hahaha. All "Ok lor" one. True or not? If you go before 3pm on Sunday - Thursday, say you're my blog reader to get a 10% discount! Followed him around as he shopped! 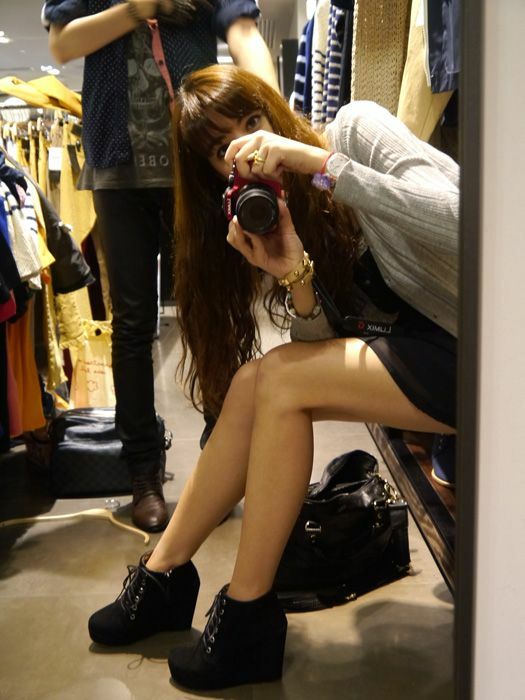 I also got those new black wedges from Far East Plaza to wear in Japan! ^^ They did give me blisters at the end of the day, but it should be fine with socks. Met some of the other bloggers for lunch the other day with our blog managers & the boss of Nuffnang, Ming! They've been having Nuffnang lunches in batches haha. Qiuting should blog about it soon I think, she, Shiberty & I share the same blog manager. 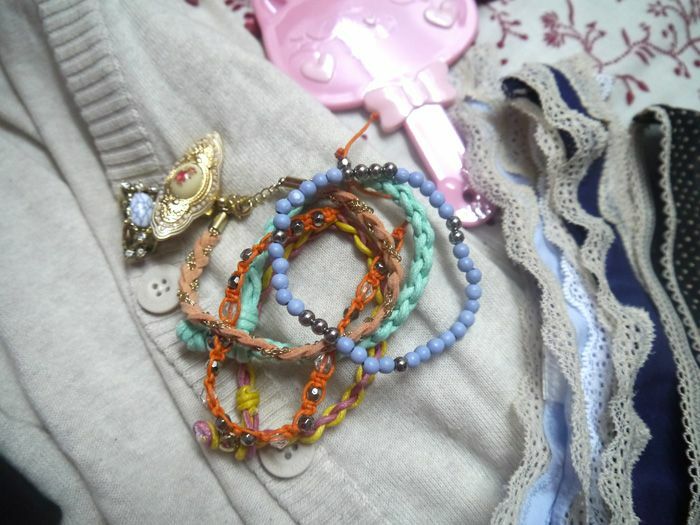 Anyway, Xiaxue, Shiberty, Qiuting & I went to shop at F21 & H&M after that; here's what I bought! Beige cardigan from H&M at $25, thongs are 3 for $14.90, kitty mirror is $2, as is the big bow hairband & set of clips. Before anyone makes some kind of shallow remark about wearing thongs, you need them to avoid VPLs ok. Do invest. For the sake of everyone else's eyes. Thanks. LOL. 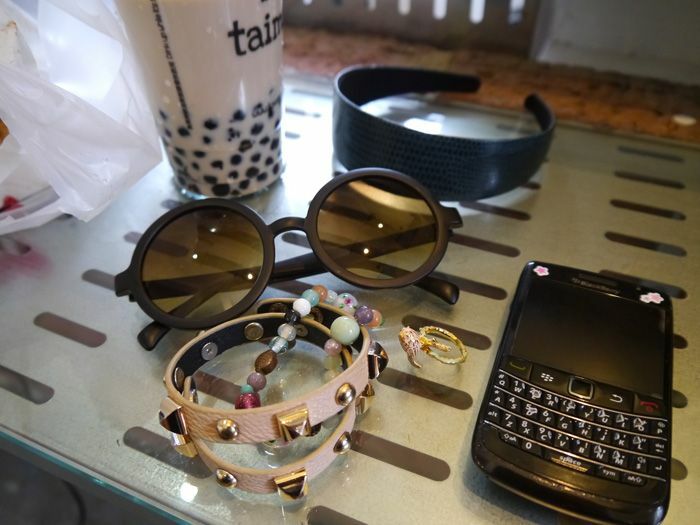 And my new favourite accessories! Ok I need to play Sims Social now. I haven't done so in a while & apparently the Valentine's Day items just came out! 18 comments on "Mermaid Waves"
actually perming does not neccesary make ur hair dry. my friend did it at some other salons but they all turned out super moisturised. of course im not considering other variances like some ppl's hair have been chemically processed. anws what im trying to say is, essensuals is not the best place for hair perming, i permed my hair there too. it turned out super frizzy and my curl died off v quickly. other than tt, other hair salons are able to do really nice curls, like those iron curled ones. Thought you said you didn't put in any makeup? But how come after the perming there was make up already? Fatima: Hehe thank you! :) F21 has lots of cheap knick knacks now for $2! 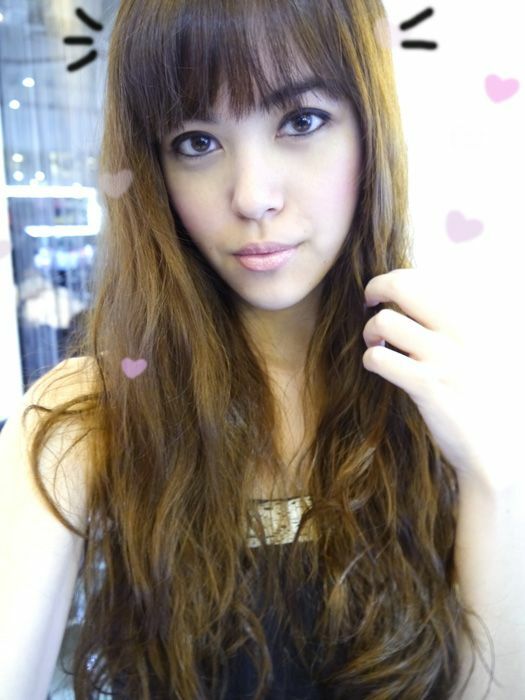 Sin Yee: Haha I found it a bit too curly but they assured me it will 100% fade off anyway lol, which it did. Anonymous:... I put on after that lah. I didn't say "no makeup that day" right? Just for that picture, which was simply to explain why I had sunglasses on. Nice mermaid waves! Need to apply some stuff to maintain it though :/. & your readers aren't like you haha but we do love reading your blog. lovinggg the new waves girl!!! i really wanted a perm as well but i was afraid i'll miss my straight hair! Hey where did you get those sunglasses?the ones you wore in the salon thanks(: and your hair is looking great! where you got those wedges from fep? how much was it? your stylist is very truthful! 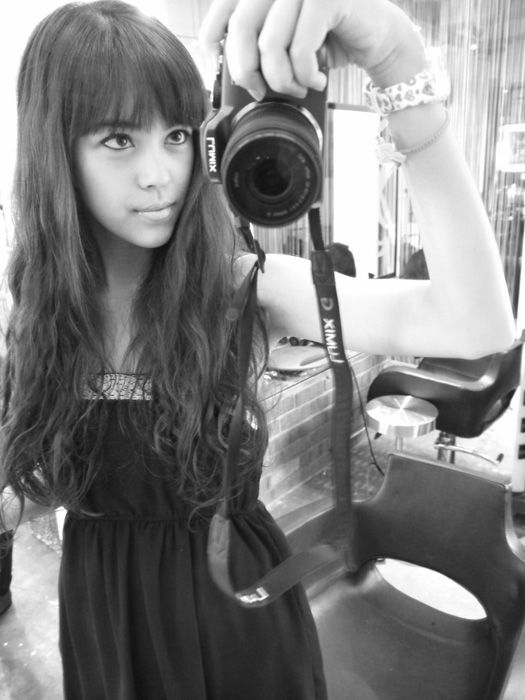 there are indeed some looks that can only be achieved by tonging but many girls dont know that and regret their perm! BLACK WEDGES FROM FEP. Level 2. Come up the escalator & take the alley on the right. Walk down till you get to this corner shop with lots of shoes. Arrow: Haha you can always straighten it on days you miss your straight hair! Anonymous: Spectacle/sunglasses case from H&M! yup this reader here is definitely an "ok lor" reader! Sunglasses are from KL? Which part? Which shop?